Waterfront lakefront is living at its finest in this beautifully well-maintained log home with three bedrooms, two baths the master is on the main level with atrium doors that open onto the screened porch offering relaxing lake views from your master suite. The second level feature two spacious bedrooms with joining Jack-n-Jill bath. 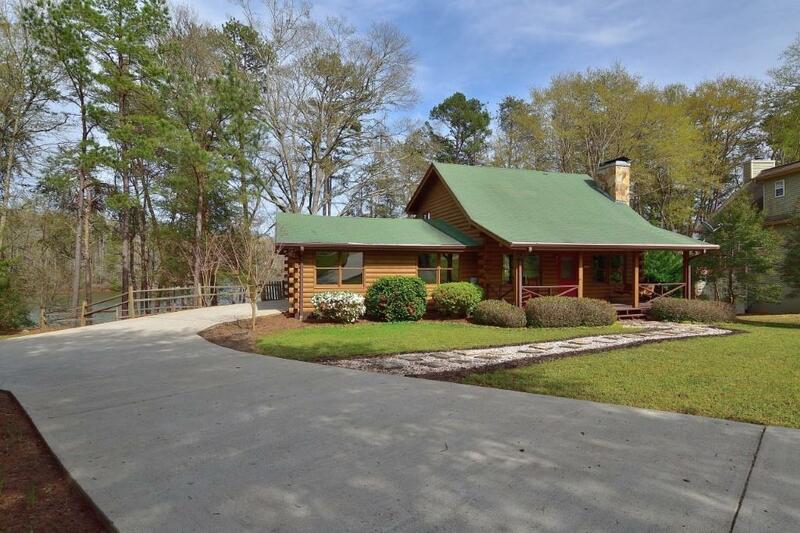 This well-crafted log home features a rocking chair front porch; 2 car attached garage; large screened in porch for entertaining on game day or a place to enjoy the serenity of the exquisite lake views. Such a gentle slope to the lake youâll enjoy spending time on your covered dock without worry of climbing up or down a hill to get to the lake. The community is Mountain Bay Estates which is a waterfront community within Foxwood Hills providing access to golf, outdoor pool, community restaurant, tennis, clubhouse, and a private boat ramp less than 1/4 mile from your home. Whether youâre looking for a fulltime home or a second home, this is a must see as pictures canât do justice for the beauty and all this home has to offer. Located on minutes from Hwy 11 and only a few miles from Interstate 85 with this home you can have your cake and eat it too. Beautiful Log Home, Fully Furnished, Lakefront at your backdoor, Serenity, Dock in Place, Boat Ramp, Golf, Tennis, Community Restaurant. This home is the whole package, bring your clothes and your new home has the rest.